Entry by Sabi on Fri Mar 1 19:33:57 2013. Germany: WHO ****ED WITH MY CAKE? Somebody didnt leave the kitchen clean! Yup, somebody definitely ****ed with his cake! "Who. Took. MY BETTY CROCKER?!?!?!?!?" Germany can totally rock that apron. italy what did you do? Looks like America ate Germany's cake! DAMN MANLY MAN WITH PINK APRON! Germany: Making pink apron looks so manly. 'grabs Prussia by the lapels and shakes him' I told you his sweets were off limits but no! You wouldn't listen! Now he's gonna kill us all ><!! "Vhat zhe **** did you say about mein apron?!" 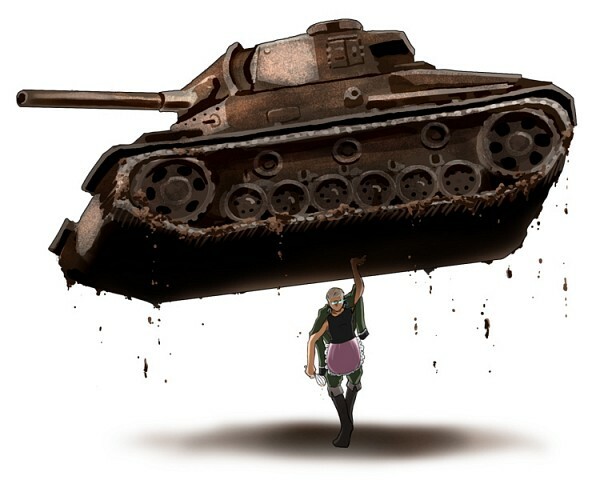 You don't mess with a grown man wearing a pink apron while carrying a tank with one hand. Italy...I SAID INSIDE BY TEA TIME!!!!!! !